Some resources for visiting Mykines. Some links about Mykines. But first, I'll have to disclose my ulterior motives: Many visitors do not know that they have to pay an online fee to walk outside of the village. That causes not only trouble for me—it causes trouble for them too. You get to the Mykines island by helicopter or ferry. You can also hire helicopter or boat. Bus 300 goes to the ferry terminal. Stay on the path when walking through the puffin colonies. Don't stay more than 5 minuttes in one spot, lest you scare the puffins from entering nearby burrows. Please see Guidelines for Mykines. The weather forecast, weather observations and a webcam showing conditions at the port. Even wave heights. Shooting puffins: Don't move off the path to get closer. You are not allowed to, and it does not work. Sit still and low, and the puffins may come closer. But remember: Give them access to their burrows after 5 minutes. Or before, of they are impatient. The best map to use in the Faroe Islands is OpenStreetMap, that means that I recommend the apps Osmand+ and Maps.me. The local map kortal.fo is also useful. 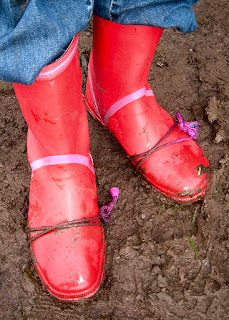 The color of your footwear does not matter much, though some bright colors may never be the same. Consider grip, stability, water resistance and weight. Computer learning offers independence from time and place. One positive effect of time in­dependence, is that people have time to think before answering (or asking) questions. In general, shy students are less shy on the net, than in a large auditorium. At its best, personal contact is better live. The course used Sitescape Forum which was not a teaching platform, it was a pure discussion tool. The material was an old-fashioned paperback textbook. Student's questions were mostly answered by other students. The teacher could lean back, just ensuring that we didn't lead each other astray. (We didn't.) But - some students were clearly un­comfortable with answers that did not come from the teacher, with the teacher's authority. 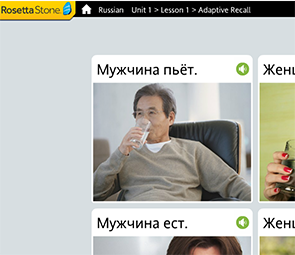 Linguaphone has moved from cassette tapes to the PC platform, but my impression is that they simply copied the material to a new platform, while Rosetta Stone created material that utilize new possibilities on the new platform. My edX experience is with hard topics (statistics, computer science) in a MOOC setting. MOOC implies that the only way to grade students, is through the answers they submit online. Which again puts limits on what can be said in the discussions. In my case, discussion simply did not start under those rules. I recently finished a course with 22000 students - I might as well have been alone. Consistent with those rules, edX have isolated discussions on a separate page - not right below each exercise, which might have inspired more discussions. For softer topics, I do not think that answering to a machine is a good idea. Often, your reasoning behind an answer is more important than the answer itself. I doubt if grading a soft-topic MOOC is a good idea. edX made me take notes. In the old days, I did at most a few highlights and post-it notes in the textbook. But, with the material spread across several videos, labs and PDFs, I really needed to take notes to structure my material. I have attended a video lecture that demonstrated the concept. The lecture was not streamed nor available online, it was shown in a specific auditorium at a specific time. A live lecture is bound to a specific point in time and space. The only gain in this case, was that the lecture was bound to another (and closer) point in space. But much was lost in terms of sound and video quality, and personal communication. It was so boring that I decided to sneak out, at that point, the guy sitting beside me was soundly asleep. When moving from one platform to another, you will lose something. Make sure you also get the improvements made possible by the new platform. A video lecture can and should be independent of time and space, I should be able to see it when and where I want. For edX videos, I can change the speed, I can stop when­ever I want, I can get sub­titles or a tran­script on screen, I can down­load the tran­script, and I can use the tran­script to start the video at a specific point. Cerego is a memorizing tool. If I really need to remember something, I think I will, even without Cerego. And if I don't need some factoid, I think Cerego will have a hard time teaching me. Still, I think it is a useful tool to memorize relevant material. Teaches some factoids about the Civil War, but nothing about its causes. On its own, it qualifies the students for quizzes and nothing more. But it is probably developed as a supplement to a history class. Works. But single letters is maybe not very inspiring. A useful addition for me might be the names of the Russian ships we see in Faroese waters.